Canada in Turmoil as Harper Government Falls! 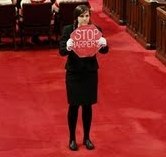 And it's all because of a little girl who held up a, 'Stop Harper,' stop sign in Parliament yesterday. Analysts around the world are suggesting that had the placard not been made out to look like a stop sign, its effects wouldn't have been so dramatic in getting Canadians to realize the real tyranny of a man they had, for some reason, elected over a month ago. 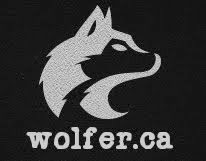 If it had been made out of a piece of cardboard or had been written on a sheet of paper torn out of a notebook, it's unlikely that it would have incensed Canadians into mass revolt. Chaos in the streets of major cities as people loot and set fire to all remnants of Conservative rule. Much law enforcement has joined with the protesters as many feel duped into having had voted for a government that would have no doubt spiraled down into infamy. All over the nation people are thanking Little Girl with stop sign protest sign for her courage in standing up to evil. Many are eagerly waiting to see if Little Girl has any more meaningful signs. Who's in charge now? It's hard to say. As Harper's personal bodyguards spirited him out of the House when they first saw the stop sign, he was later rumoured to be on a Challenger jet leaving Canadian airspace. The other Conservative MPs, realizing the regime that they were once part of was crumbling, turned on each other and there were many savage beatings. 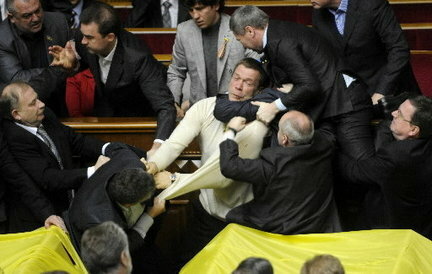 Parliament continues to resemble a giant, albeit ornately decorated, wrestling arena as people body slam and choke each other. Right now the Liberals are winning, which comes as a surprise being outnumbered by the NDP 3 to 1. But the Libs were more popular when they were in high school which subsequently led them to become bigger and stronger than their New Democratic counterparts. Right now Bob Rae has Jack Layton in an inverted facelock as he shouts, "I use to be like you once! But the Liberals are the natural governing party of Canada!" A call for calm has come from an unlikely source as Muammar Gaddafi pleads for a return to stability in Canada and the restoration of the Harper government. Thank you Little Girl with stop sign protest sign for restoring sanity to our nation.